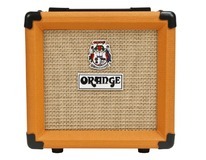 The mini AmPlug Cab guitar cab will be updated to v2 this year, that’s what Vox announces this week at NAMM. Blackstar announces at Summer NAMM that its HT Metal amps will be available this autumn and communicates their pricing. Blackstar introduces a new range of guitar amplifiers aimed at metal players, the HT Metal series, with 3 combos, 3 heads and 3 cabinets. Third series to be be introduced by Randall at NAMM 2013, the RG line features 8 solid-state amps, including 3 heads, 2 combos and 3 cabs. 3rd Power Amplification has announced the introduction of a speaker cabinet, the Switchback 312. VOX Amplification announces the new amPlug Cabinet, a portable tabletop mini-stack that is compatible with VOX's line of amPlug headphone guitar amplifiers. Theairtightgarage presents the Bertha, a guitar cab aimed at delivering a big sound.